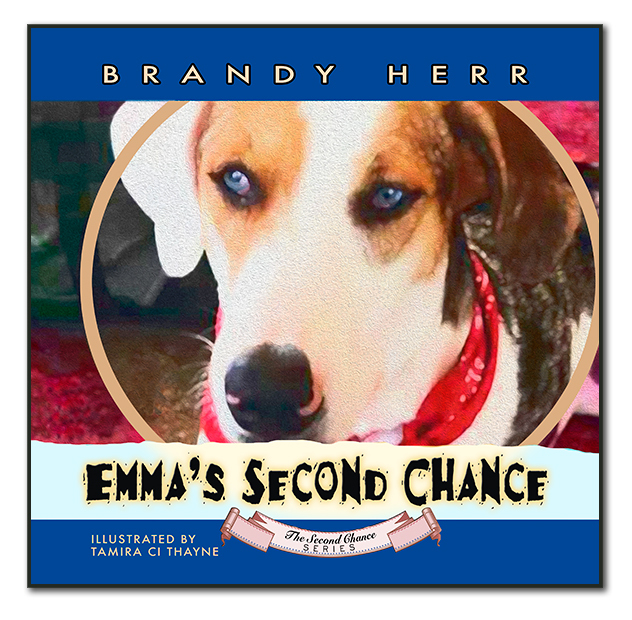 “I Once Was Lost, But Now I’m Found: Daisy and the Olympic Animal Sanctuary Rescue” Now Available in Audio, with its own Book Trailer, Too! For those who enjoy listening to books on audio while commuting to work or traveling, we’ve got a great new selection for you: I Once Was Lost, But Now I’m Found: Daisy and the Olympic Animal Sanctuary Rescue. 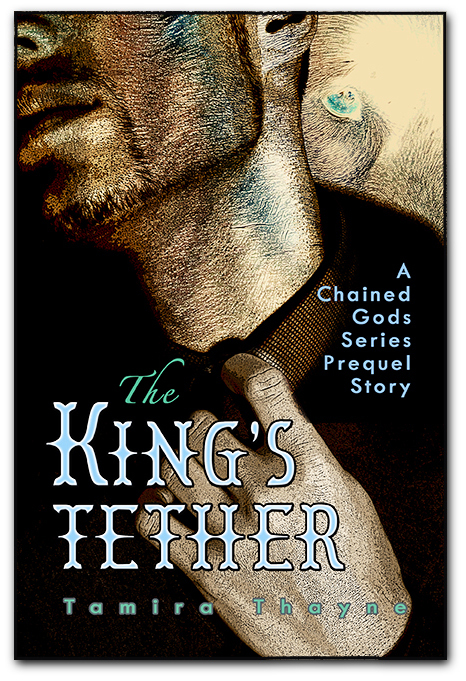 The book is written by author Laura Koerber, with audiobook narration by Kelly Libatique. On the far side of the Olympic Peninsula in Washington State, halfway between the mountains and the ocean, stands the little town of Forks. In that town, in a quiet neighborhood of modest homes and shabby businesses, there remains a dilapidated pink warehouse. Packed inside that warehouse, living in deplorable conditions, were once over 120 dogs. Some of the dogs were kept in crates piled high on shelves, arranged in rows along the walls, and shoved into corners behind heaps of garbage and urine-saturated straw. Some of the dogs were confined to wire-sided or glassed-in kennels. One was kept in an old horse trailer. Dead ones were stored in a cooler. In one of the crates was a black dog named Daisy. This is her story. It is also the story of the rescue of one hundred and twenty-four dogs—and one snake—from the Olympic Animal Sanctuary, the only large-scale dog rescue in the U.S. to be carried out with no support from local government. 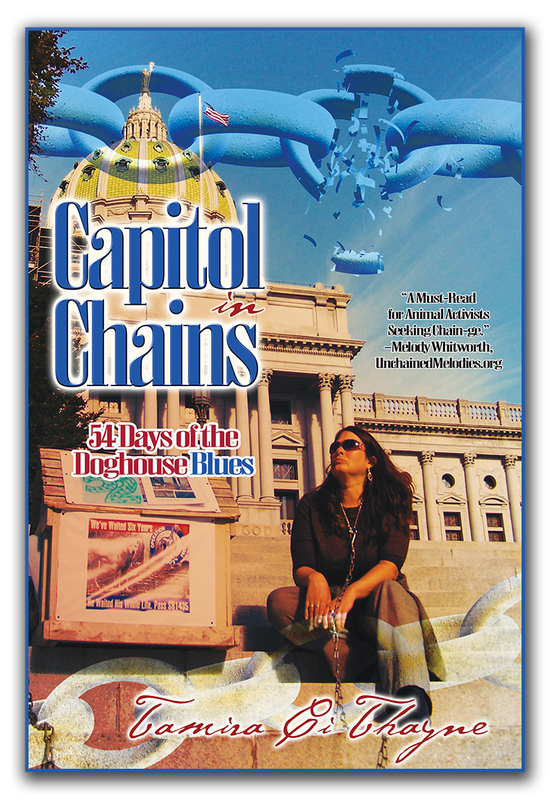 The OAS rescue was an epic narrative that extended over several years and featured small town politics, protests, assault, lawsuits, arrests, and a midnight escape, all played out to a nationwide audience. Laura Koerber is an artist and writer who lives on an island with her husband and her two dogs. Her first book, The Dog Thief and Other Stories (written as Jill Kearney), was listed by Kirkus Review as one of the Hundred Best Books of 2015. 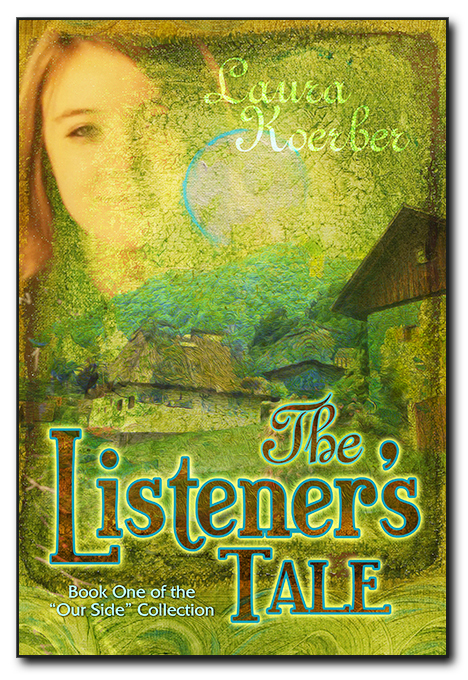 She’s also the author of The Listener’s Tale, I Once Was Lost, But Now I’m Found, Limbo, and the upcoming The Shapeshifter’s Tale. She is a contributing author to Rescue Smiles. Kelly Libatique began his career in the high-tech and telecom industries in the early ’90s as a technical writer and trainer. Since then, he has done training, speaking, marketing, and representing around the country for some of the biggest players in the corporate world, including Sony Electronics, Cisco Systems, and Verizon Wireless. Kelly has been a theatre performer since grade school still regularly performs as an actor, singer, dancer, and choreographer. Although he does camera and commercial acting from time to time, he found his true love to be voice-over. Laura Koerber is an artist and writer who lives on an island with her husband and her two dogs. 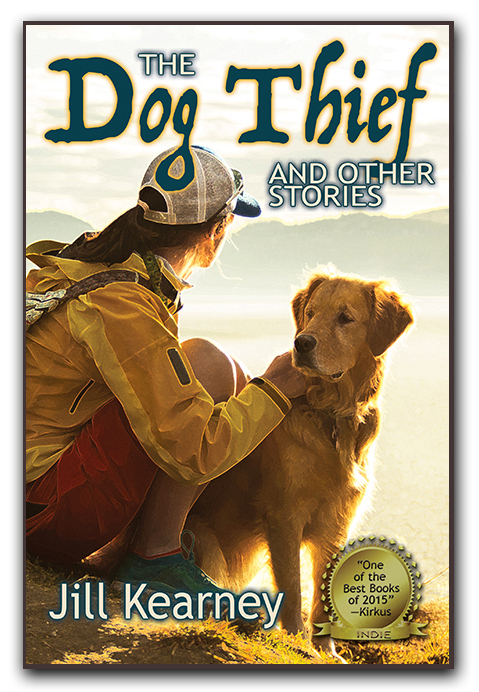 Her first book, The Dog Thief and Other Stories (written as Jill Kearney), was listed by Kirkus Review as one of the Hundred Best Books of 2015. She’s the author of The Listener’s Tale, I Once Was Lost, But Now I’m Found, and the upcoming The Shapeshifter’s Tale, and Limbo. She is also a contributing author to Rescue Smiles. Okay, so here it is at long last. Or it seems like at long last to me, since I started working on it about two years ago. The OAS rescue was a tremendously meaningful experience to a lot of people and the meanings are as varied as the people. It is not one story. It is hundreds of stories. It is a fundraiser for OAS rescues, as I’m donating all my portion of sales to those who took in the dogs. Also, any nonprofit rescues can order books at reduced cost from the publisher, set their own price, and sell the book as a fundraiser to their supporters and the public. What is the book about? 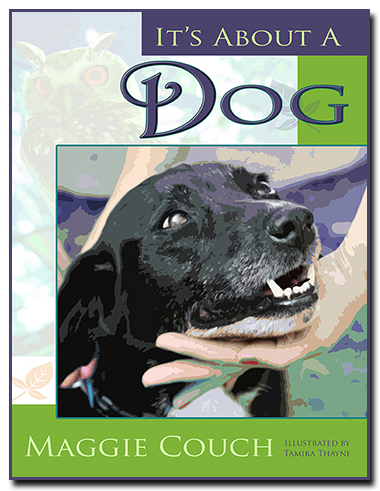 My goal was to use the story of Daisy’s odyssey through the Olympic Animal Sanctuary as an overview of what happened, but also as a vehicle for informing readers about hoarders, failed rescues, law enforcement issues, trainers and behaviorists, and actions people can take when they become aware of abuse or neglect. The people named in the book are the ones who were named in the press or on TV. About twenty dogs are mentioned as illustrations of various points made in the text, such as the condition of dogs when rescued. 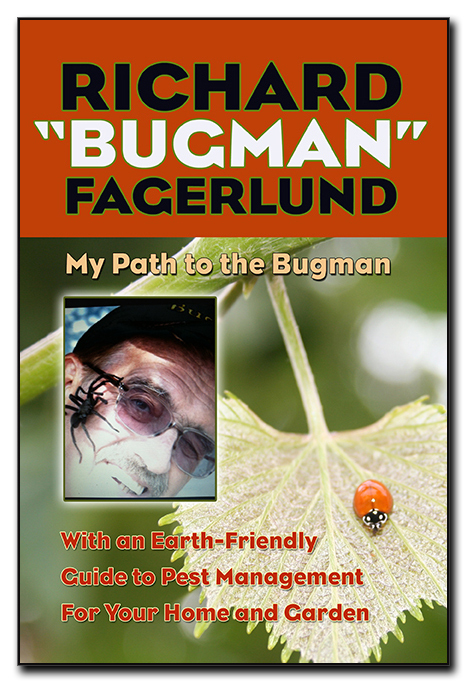 The book is written in first person as a narrative with some sections written more formally. There are lots of photos, courtesy of many people who stepped up along the way, and from the Forks police files. Shari Forst provided a story about Cream to illustrate how a behaviorist works with a dog and I added a tribute to Old Man Tucker just because…I think I would have loved him if I had ever had a chance to meet him. There is also a piece written by Jim Crosby who did the evaluations of the final dogs which is included to show how a real professional evaluates a dog. The cover features a very lovely artistic shot from professional photographer Ernst-Ulrich Schafer. The book is not a comprehensive chronicle of everyone, every dog and everything that happened. For example, it does not include the long process of placing dogs after they got to Arizona. In the end, I wanted the book to be uplifting. I hope it will inspire people who are not active in rescue to get active. I do hope that the people who were involved in the rescue, even if they are not specifically mentioned, will know that I wrote it in honor of all of you. Thank you. Debris piled outside the pink shed in Forks, WA where many dogs lost their lives. A note about an Upcoming book from Who Chains You Publishing: I Once Was Lost, But Now I’m Found, by author Laura Koerber. 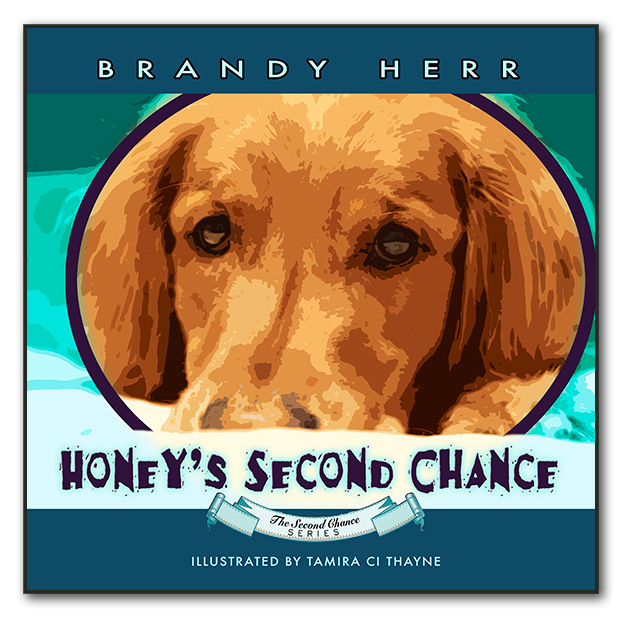 “I am almost done with a book about the rescue of the Olympic Animal Sanctuary dogs. For others, that sentence means nothing, but I hope to change that. My reaction is complex and varied. On one level, it is a story. An amazing and inspiring story about protests, assault, lawsuits, arrests and an attempt by the abuser to run away with over one hundred dogs packed in a semi truck. On another level, it is a reality, the reality of a great wrong that was done, a wrong that was righted for some, but not for all. And the victims, the dogs that experienced the wrong, are getting old and dying off. I can’t think of them without oscillating between anger, tears, and gratitude. I don’t want their suffering to be forgotten. After all, the OAS dogs are by no means the only ones to have suffered in the hands of a hoarder, or a failed rescue or a puppymill. There are thousands of dogs and other animals suffering the same kind of abuse right now as you read this. And all over the US, local authorities either refuse to act or actively support the abusers. The rescue was done because of activists using Facebook. Yes, the notorious social media, supposedly a fever swamp of vindictive inaccuracies. The whistleblower alerted the world of the abuse through Facebook and hundreds of people got organized and engaged in a wide range of activities to free the dogs by using Facebook. People wrote consumer fraud complaints, organized protests, communicated with local officials, raised money, and, after about a year of effort, freed the dogs. Freed the ones that survived. That’s the part that hurts my heart. Not all of them survived. Goodby Mario, Lexy, Rocket. I am so sorry Phoenix, Doc, Suki and Malakai. Run free, Dixie and Abel. But I don’t want their deaths to be for nothing. The OAS rescue is a model that other people could use against abusers in their vicinity. The book is, in a way, a recipe, a how-to guide. The title is “I Once Was Lost, but Now I’m Found”. 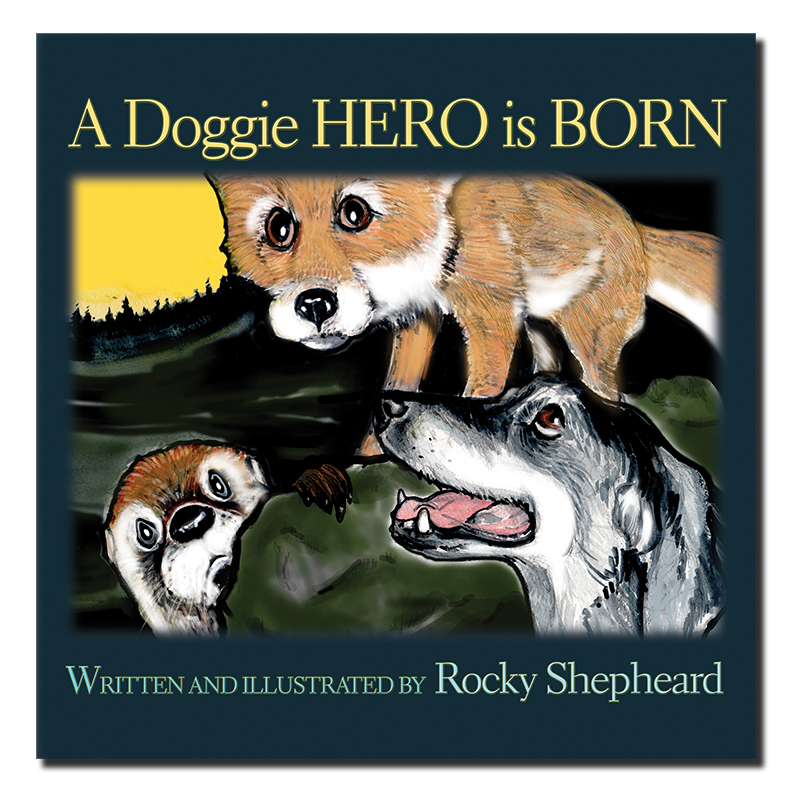 The book follows the life of one OAS dog, Daisy, before she was sent to the Olympic Animal Sanctuary, while she was incarcerated there, her trip on the truck to Arizona, and her return home to a family here in Washington state. 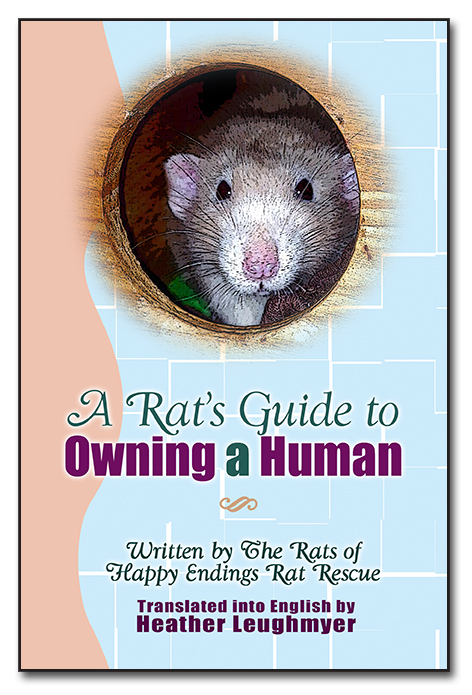 Along the way the book includes information on hoarders, rescues, trainers and behaviorists, difficulties with law enforcement, and other issues of interest to people who care about the well-being of animals. 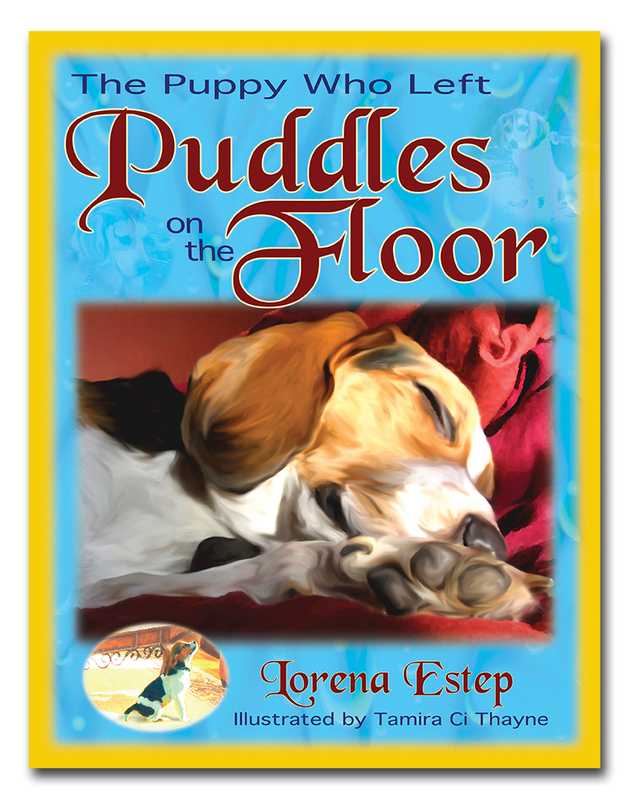 The author plans to donate her proceeds to animal groups caring for the rescued dogs. Who Chains Us as Animal Advocates? What Stops You from Making Your Best Strides for the Animals? When one applies the “First, Do No Harm” principle to everyday life, feeling a need to extend protection to animals is a no-brainer, and should be the obligation of every human on the planet. What is “Do No Harm”? From Reflections on Ethics by Paul Sharkey: It is commonly believed that the principle “First, do no harm” originated with the physician’s oath and is circumscript with the practice of medicine. It did not and it is not. As a moral principle, refraining from doing harm is both much more fundamental and much more universal than that. It forms the very foundation of the moral teachings of the founders of at least two of the world’s major religions and was so central to the life and teachings of Socrates that he literally chose to die rather than transgress it. Fully understanding, appreciating and following this principle is, I believe, key to following a life which is at once, fully human, fully alive, and fully virtuous. Unfortunately, many people in our world—including our current government—do not live by this motto, and regularly visit harm on both humans and animals without sparing it a second thought. For those who do agree with “Do No Harm” (in theory at least), the welfare of animals is not considered important enough to fall under the principle, and so they apply it solely to humans. The result is that very few folks who are not actively involved in the animal movement outwardly agree with or support broad protective efforts on behalf of the animals. They are all too quick to brush such efforts to the side in order to advocate for the ‘important human issues’, or dismiss them out of hand. Where does that leave animal activists and rescuers? “Chained”, and full of negative emotions such as anger, frustration, and fear. Any campaign on behalf of the animals has more than its fair share of adversaries. Law enforcement and society at large actively protect animal users and abusers from every walk of life. This includes but is not limited to: dog chainers, animal food producers, animal food consumers, rodeos and circuses, and pet animal mills. All too often any human who helps a suffering animal ends up arrested. When one decides to take a public stance against any form of animal use and abuse, a primal fear of death must first be mastered before an advocate can and will put him/herself on the line for others. The chances of suffering either physical or emotional abuse for taking a stand for the voiceless is at virtually 100%. People who abuse animals without a thought have no compunction about doing the same to any human who gets in their way; therefore, those who desire to advocate for animals have to first face their fears and decide to act anyway. Any activist or rescuer working on behalf of animals faces arrest if they are engaged in front line efforts. Being arrested and dragged through the court system is not only scary, but affects one’s career and life outside of animal work, one’s pocketbook, and can even end in a felony and jailtime. That’s a lot of fear to get past in order to do what anyone with a heart would consider ‘the right thing’! Watching the suffering of animals and feeling as though your hands are tied to do anything about it leads to 24/7 anger and stress, which takes a debilitating toll on an animal advocate’s physical and mental well-being. The animal movement is hard-pressed for willing volunteers. While so many people pay lip service to loving animals, the truth is that most won’t show up for fundraisers or foster an animal, let alone stop eating them. The hypocrisy of the situation is a source of endless frustration to animal advocates; and, worse, they are forced to keep these feelings inside for fear of offending donors and potential volunteers. Pushed down inside, these negative emotions brew up a nasty cocktail of physical and mental maladies, with ailments beginning to show up more and more regularly. No one likes to fail. When we do suffer a failure in helping the animals, we are hit with a double whammy showcasing our own feelings of inadequacy sandwiched with highlights of guilt and shame for letting the animals down too. Soon an advocate may give up trying because the pain of failing again is just too daunting. 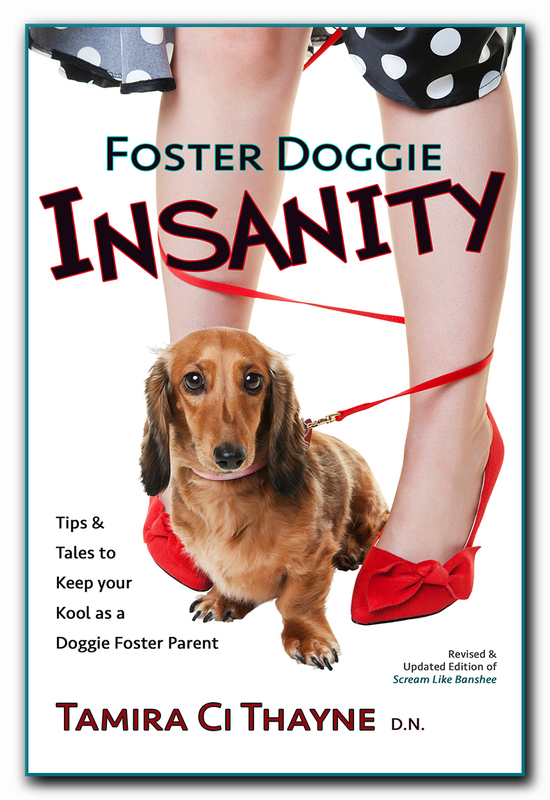 From my book, Foster Doggie Insanity: Just what is Compassion Fatigue Syndrome, anyway? In a nutshell, it is caused by the pain of witnessing or bearing repeated trauma while caring for others (in our case, animals) and putting the care of others before ourselves. We see no end to the need and no way to make it stop. The resulting apathy, detachment, inability to express emotions, and substance abuse heads a long list of manifestations now associated with and labeled as Compassion Fatigue Syndrome. Most on the front lines of animal rescue and activism are at danger of developing Compassion Fatigue and/or PTSD, depending on how much abuse they are taking and how much self-care they are practicing while they are going through it. You all deserve better than this ending, and I’d like to see us ALL practicing self-care on a daily basis in order to prop us up, allow us to keep working in the movement, and making a difference for the animals. When we become sidelined due to PTSD and/or Compassion Fatigue, that’s one less heart and soul in the fight to end their abuse. And they truly are the voiceless without us. I like tapping for those in the animal activist and rescue movements because it focuses on REMOVING NEGATIVE EMOTIONS that are held in the body. Practiced daily, it can and will set you on a positive path, even when you’re embroiled in front-line pain on an everyday basis. Watch the video below to get you started, and visit the founder of Tapping, Gary Craig’s website to immerse yourself and help you work through childhood ‘stuff’ that gets in the way of healing. While it’s essential to release that negative each and every day, it’s also essential to fill the remaining ‘hole’ with positivity! Find a way that works for you, but opening your heart chakra (picture it right where your heart is, so open that heart!) to receive good things for you and the animals is crucial. The more time you can spend each day with an open heart (even though it makes you feel vulnerable, do it anyway!) the better your life will be and the more positive responses you will draw into your life. 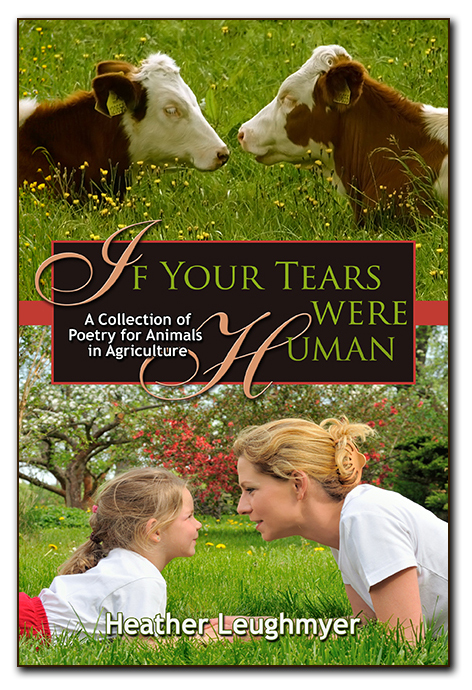 If you’re working hard for the animals, let me be the first to commend and thank you. Please work on your self-care each and every day, as you deserve so much better than to be embroiled in pain for advocating for those we all love. Online bullying is a fact of life, and happens in every social movement and in every dusty corner of the web; however, it is particularly insidious in the animal rescue movement because it destroys the very protective fiber the animals depend on for their salvation. Most legitimate rescuers enjoy a “honeymoon period” when first jumping into rescue…they’re full of excitement, high on the beauty of saving a life, and starting to build a reputation for themselves. As long as they’re responsible and on the up and up, things go well for them—for a time. But sooner or later they gain enough visibility to attract a following, and within that following there lurks an element of surprise that most won’t see coming. Let’s say a rescuer is deeply involved in a highly-visible dog rescue effort that brings a happy ending for some abused dogs. She (I will be using the pronoun “she” throughout this article, although all points can apply to males as well) does something heroic, even—such as pulling caged and starving dogs from an abandoned home, thereby making the difference between life and death for these neglected canines. Of course she’s happy. Ecstatic even. And dare I say proud of herself (and she has every right to be). The police are on her side. The dogs were truly abandoned and emaciated, and the community recognizes her as a hero. She gets airtime on the news, talks about the dogs and her rescue organization and is able as a result to raise some much-needed funds for her work. But now she has reached a level where she will attract devotees—people who are on the outskirts of rescue but who admire what she did to save these dogs. Many are perfectly nice folks who recognize a hero when they see one. They support the rescue financially, and she develops a rapport with them, sometimes even building lasting friendships. She also attracts the less sane followers, although the problem for her becomes that in the beginning it is very difficult to tell the two apart. And, she’s naive. She believes everyone who loves dogs is a good person. In other words? As soon as our one-time hero does ANYTHING that shows her to be a simple human being and not a superhero, her “best friend” suddenly becomes her worst enemy. And she’s been targeted for destruction all along. Now is when the false claims start. When we don’t personally know a rescuer, we haven’t been to her home, and we haven’t seen her rescue situation with our own eyes, we as bystanders and/or financial supporters have a problem when accusations of neglect, abuse, or cruelty come to light against her. Accusations of abuse or cruelty are the number one way to destroy an animal rescuer, for obvious reasons. Is the person we’ve trusted to hold the best interests of the animals at heart actually harming them instead? We become morally obligated to take such allegations seriously when they are brought forth, for the protection of the animals. But by this same token, false accusations of cruelty and neglect have become the number one method nefarious persons use to destroy legitimate rescues. Because it’s so easy to plant doubts. And they can. We owe it to those brave enough to handle the pain of rescue on a daily basis to give them the benefit of the doubt unless valid evidence is produced. Consider the following points in ascertaining the validity of an accuser. 1. Are the accusations made anonymously? Contrary to popular belief, ANIMAL RESCUE IS NOT THE CIA. It’s doubtful you would be murdered for standing against an abuser, so claiming you must protect yourself with anonymity is bogus. If someone has a legitimate abuse claim against a rescuer, they need to stand behind that claim, which means using their own name and in full. If they refuse to do that, they should be immediately dismissed as a troublemaker. The more likely reason someone would make allegations anonymously is that they are lying, and don’t want to be sued for defamation. Any legitimate claim will be backed by evidence in the form of photos, videos, vet records, etc. If you witness abuse and are not able to get evidence, you have no business going public with your claim until you can prove it. If there is a total lack of evidence outside of one person’s statement, it needs to be disregarded—unless and until proof can be obtained. 3. Does the accuser have a fake profile? Often those seeking to destroy others’ well-deserved spotlight create fake profiles in order to do so. Women will pretend to be men, digging up photos of upstanding-looking men they find on the internet in the hopes of lending credence to their claims and throwing the truth seekers off their scent. If you see accusations by someone who isn’t personally known to you, do a little digging. It quickly becomes apparent if they’ve stolen profile photos, and/or other pieces of their persona. If you ascertain their profile is fake, let the victim know and go public with your findings as soon as possible. 4. What type of person is the accuser? If a little facebook creeping and googling shows that the accuser is one who constantly badmouths others—run, don’t walk, to your nearest exit. Is the accuser on the periphery of rescue, or are they deeply involved on a daily basis? A quick scan of most rescuers’ facebook pages makes it blatantly obvious that those who are legitimate have no desire, time, or intention of attacking other rescuers—unless they have scads of proof and a need to act on behalf of the animals. 5. Does the accuser have a criminal history? Believe it or not, many of these folks leading the charge with pitchforks and dragons to slay hard-working rescuers are actually convicted criminals themselves. They will even accuse the rescuer of activities they themselves have been convicted of—such as embezzling, one of their favorite pastimes. A little sleuthing and a background check can bring up some fascinating evidence against these frauds. Don’t hesitate to spread the evidence you discover far and wide. When they are exposed for the con artists they are, they will tuck tail and run off to torture their next victim. The very best way to ascertain the truth of the matter is to go directly to the source. If you’ve questioned the accuser, but still feel uncomfortable, I recommend you ask the rescuer to come see her facility and meet her rescued animals. ANY LEGITIMATE RESCUE WILL ALLOW THIS. PERIOD. If a rescue will not allow you to come in and see all areas of the facility—with the possible exception of quarantine—then there is something to hide. How can a legitimate rescuer handle these attacks? If you have nothing to hide, hide nothing. The very act of inviting the public to your facility puts many people’s fears aside. For those who take you up on your offer, be gracious and cordial, and answer every question truthfully and to the best of your ability. Yes, it is annoying that you must defend yourself when you did nothing wrong, but life is frequently unfair. Our job in that moment is to allay our supporters fears, no matter how they were engendered. 2. Being defamed? If you have money for legal, immediately send a cease and desist letter. Bullies are cowards, and the last thing they want to do is spend what little stolen money they have defending themselves in court. Odds are good they will run off to an easier victim. If you must go to court and you have a strong case—and you can handle the emotional strain—then go for it. That’s something only you can decide. 3. Put out your evidence to the contrary. Publicly. Bullies lurk in the shadows, streaming hate and lies. They don’t fare so well in the light of day. If you are being falsely accused, they will produce no appropriate evidence to back up their lies. But guess what, YOU DO have evidence! Of how great a job you’re doing! Build a public page on your website or blog, and put all your photos and videos there of your rescued pets playing, running, interacting with YOU, the accused, and showing no fear. Build your case, and make sure to walk folks through the evidence timeline. Your true supporters can copy and paste this link whenever the accuser is trying to stir up trouble. This will go a long way toward assuaging the fears of your supporters. 4. Walk away and get back to work. Once you’ve taken the steps above—and any other brilliant ones you’ve added to the equation—you’ve done all you can do. Walk away from their drama and get back to work. Yes, a couple diehard crazy folks will still be lying about you every chance they get, but you’re too busy doing good to give them a moment of your time. 5. Work on your self-esteem and become actively involved in spotting and avoiding these kinds of people. 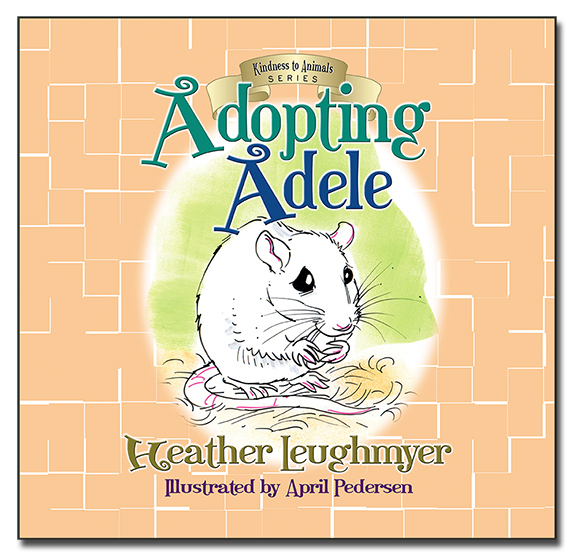 I read Dr. Phil’s book way too late, but you don’t have to make the same mistake I did. I recommend it for every legitimate rescuer, so you can spot these would-be bullies coming a mile away and avoid them like the plague. When your gut speaks up, listen. The damage these online bullies do to a legitimate rescuer’s self-esteem is not to be downplayed. We are all human and very few of us come into this world with high self-esteem. It’s something we’ve earned by doing the hard work emotionally and intellectually, and using what we’ve learned to build things we can be proud of. Most legitimate rescuers are sensitive by nature—if they weren’t brought to intense emotional pain by watching animals suffer, they would not get involved in rescue efforts. It is this very soft-heartedness that makes them the target of bullies; it also makes them more easily taken in by a con artist. Bullies, narcissists, sociopaths, and psychopaths have no self-esteem of their own, and so steal yours in order to bring you down to their level. They are often plagued by personality disorders that enable them to feel perfectly entitled to take what is yours, frame you for crimes you didn’t commit, and leave you for dead as they walk over your body in search of their next meal. You therefore need to become active in the day-to-day revival of your self-esteem, because it can land in the toilet after dealing with bullies. I use and recommend tapping in my own life to release the negative emotions that build up from interactions with these kinds of people. 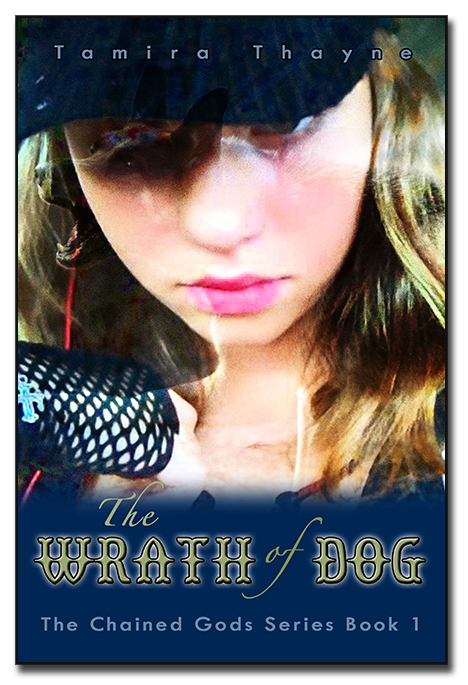 Below is a tapping workshop video I created around the issue of online bullying. Please tap along with me and let me know if it helps you to release some of your pain. To take your own free tapping courses and go in-depth into tapping, visit the creator’s website at http://www.emofree.com.